It focused on building details too much for cliche things like that they are poor. It wouldve been good if it described it right but it felt really dull reading like a shakespeare book but in a moder setting. Also it keeps saying dojo which kind of ticks me becauae with he way the martial arts was described basically its a feudal samuris fighting system against monsters. The novel was way too dull andnot interesting. for story I was pretty skeptical at first, because many japanese anime have similar setting in their story, but I was proven wrong once again, it's modern xinxia !! The story are pretty familiar for us added... more>> with more advanced technology and simple cultivation for getting stronger, even using modern and ancient technology in battle. There's some epic moment in the story, especially the MC later turn into 1 man army monster grinder badass, have advanced technology jetfighter with AI, customizable armor that could he manipulate with just thought, superior telekinesis ability that can make him control weapon and tools to fight, and have one of the strongest weapon in the world make him really a badass character in his world. I was looking forward to reading this novel, because of the high rating. However, I was disappointed with the pacing of the story. It has a good premise, but it reads more like a slice-of-life mood. The MC takes this test, then he has to take that exam, etc. I tried to power through the first 26 chapters, but the story is boring. Surprisingly several people rated this novel high, I guess different strokes for different folks. A good story the main character has set goals and he isn't trying to make a harem one of the positive things about novels written by IET. He will obtain powers he never thought of at a fast rate and the novel's plot develops into a much larger field later on in the story. Honestly surprised at the number of people complaining that this series is slow. In regards of the current translations, it has a solid beginning with a bit of stagnant chapters after the first volume. Then by book 5 it really picks up and progresses exponentially from there. Currently on vol 11 of raw so not sure if it gets worse from there. 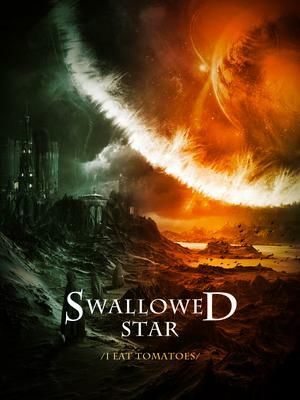 With Swallowed Star, IET originally seemed to intend to write a more sensible story with a more compact scope, but then gave into his modus operandi of skipping through the home world to go to bigger worlds to star systems and so on. The novel's like Dragonball, where the early and later parts are entirely different. Like, take a look at the novel's synopsis. Go ahead, look over it. Take that kind of badass, special ops scenario, mix it up with training, a bunch of monster-slaying, at least as... more>> much conflict between humans, and some familial and romantic love, and you have the first 5 or so volumes. The MC becomes a Fighter (a cool, non-uber title), and he's fast and strong but not beyond imagination. He goes out with a squad to kill monsters for their body parts, and they have to be careful and use tactics and know their limits, but they might die anyways. Awesome. 4+ stars for this period. I wanted to read a SF novel to change from all the reincarnation/cultivation/fantasy thing, seeing the rating on this one I gave it a go. I don't even know how I could read so many chapters and I definitely don't understand all the hype about this novel. The MC is a better than average, hard working student. He comes from a poor family, has a disabled brother (who is a genius trader) and incidentally has a hidden power (which soon awaken) and will allow him to be one of the most OP existences of his world if trained properly. But he decides to hide it...... because reasons. One of the problem I had with this novel is that there's no surprises, no struggle. There isn't any trouble for the MC and when something finally happens someone will take the hit for him or instantly bring a solution. The MC needs money to buy skill or gear ? Don't worry someone will come to lend him some and if it doesn't happen he will probably find it (or an even better grade) in some random hole dug by a beast. Like others said the MC power up quickly but that's not necessarily a bad thing. All the antagonists are idiots, blinded by their own arrogance who underestimate the MC, but well that could be said to a vast majority of novel. I don't know if it comes from the author directly or the translation but what made me stop reading is the writing. Everything is plain and bleak, descriptions are average and dialogues are even worse. Putting exclamation marks and SFX don't make a story engaging. 5/5. There is only one flaw in the story for me. I'll mention it now. Except that the story is very good and smooth. While you reading, you find yourself in the last chapters immediately. 1-The story is a bit slow or seems like it. He says he needs 3 years at least to become wargod and bam, things change. The slowness changes. I think it's unique in this way. If it would have been slow like mc's thoughts, it would be boring at some point. But it has its unique... more>> way that keeps you reading until the end. 2- the major thing that annoyed me. And I think the author only forgot that or he was absent-minded at that time when he wrote. The MC kept hiding his spiritual reader feature for no reason at first without explaning why. Until very later when he revealed the truth to his teammates. We learned the reason that MC doesn't want leave his home that's why he hide it and he kept hiding from world except his teammates later on. Also in any story hiding ability annoys me a lot, but I kept reading because the story is smooth. But later on the author with his unique way, suddenly, revealed mc's spiritual reader feature to everyone on earth. So the only problem that bugging me has gone. The rest of every aspect of the novel is good and smooth. IET is one of the best authors out there, he has some great novels and Swallowed Star is by far my favorite of the ones that I have read (I have read CD, ST, DE and TNC so all the big ones). This novel is brilliant in almost every aspect, there are no "repeating cliche antagonists" that get in the way of the plot and characters. Lou Feng is realistic (as realistic as a Xuanhuan/Xiaxian protag can be at least), he doesn't gain power for no reason and while in the... more>> early chaps its seems like he's to OP, the later ones really put things into perspective. IET loves to create massive universes for the MC to go through and this one has the same but this time it's in OUR universe and he does such a great job of making everything flawless and perfectly combining martial arts and real world tech into a super creation that makes it interesting in the start novel and griping after the first 2 volumes. Characters that aren't the MC don't get a huge amount of character development but that's perfectly normal for IET really, they aren't unbelievable and their motivations for how they act is explained but they don't get much else. It's really the only criticism I can think of for this novel. Now onto the thing that makes of breaks a novel; the main character. Luo Feng is a badass, he doesn't ever go out of his way to make enemies, nothing like calling someone back when they just want to leave or forcing situations that end in people hating him. The way he handles situations are actually sensible! He has real human emotions too! He doesn't just up and leave if there's a problem he can't fix immediately he works at it constantly and when he gets over the problem there's a real feeling of success instead of most novels "meh, another one bites the dust" kinda feel. It also deserves mentioning that he doesn't just get everything handed to him like other protags he has to work HARD, like really really hard. Best IET novel thus far. Although he still enjoys repeating himself and I sometimes skip whole paragraphs, you can clearly see a huge change compared to each novel. I feel like he's taken his plot formula to the next stage and did a really good job with swallowed star; I was growing mind numbingly bored trying to finish Coiling Dragon + Stellar Transformations. As expected from I Eat Tomatoes stories! Such as power up, chances to find treasure, NO harem ❤︎ and hard working MC ❤︎! but you will find this story slightly different than others, as this setting taken in modern times. Well since it is like that you can find the new concept IET brings and the brilliance ways of IET's writing, will bring you a new kind of experience and enjoyable. Another masterpiece by IET. I couldn't wait for translations and started reading ahead of translations. Well, least to say, I got so hooked up that I read MT. The story starts in the current Earth, nations dying and making few combined countries in the world where an alien virus caused animals on the earth to mutate and challenge humanity. Some people may get annoyed that MC and the strongest bunch are from... more>> China, but if this factor was overlooked then everything else is almost perfect because very soon the whole story will overshadow everything else in the Earth and move to the galactic level. So, bare with it if you are uncomfortable with Chinese being portrayed as slightly superior. I love this novel.. MC don't get crazy cheat like another xianxia novel in this site.. He is using his brain, talent and hardwork to overcome all obstacle.. Along his adventure, he will obtaining many good fortunes (with hardwork and twis of luck, not falling from the sky like the other novels) that help him became the greatest. This is a novel that I want to love, but I can only say that I like it. The first main arc of the story is set out really well, and has a unique setting for this genre. Humanity is sort of on their last legs, desperately trying to hold on to the few fortress-like cities that they have left, and exploring a revival of martial arts, as heavily mutated animals have taken over the rest of the planet. The author really brings you into this world, and it's fun... more>> to watch the MC make his way through it. For the most part, I also enjoyed the fight scenes, which I typically don't for these types of novels. They don't go on for dozens of chapters like some other novels do... (*cough* Martial God Asura *cough*), and the author actually drums up some decent reasons for why these people are fighting the MC. I also really like how the author tries to keep things to a somewhat realistic level for distances and numbers, at least when things happen in the real world and not the virtual one. People landing in front of the city gates don't randomly take out myriad mountain ranges; they simply land, kind of like how your friendly neighborhood cultivator would. chapters on all the basic genre cliches. You get the explanations of cultivation levels, the way the governments works, the rules for the areas, various cultivation techniques, popular people in the area, fancy treasures to take note of, multiple auctions, and multiple tournaments..... and during all of that, there's an "old geezer" stereotype telling the MC everything he should be doing, and exactly when he should be doing it. I very nearly didn't make it to the end of all that. I was about to drop the novel entirely (and probably would have if I was attempting to read through that arc at the daily rate), until a new arc set in and the MC actually started doing things for himself again. Decisions to make, challenges to attempt, legacies to find, political maneuvers to outmaneuver, etc. On to the problem I have with the MC: He ends up being given horrendously OP things, with virtually no strings attached, time, and time, and time, and time again. The first time? Fine, I can buy that. We wouldn't have much of a story otherwise if the character wasn't special somehow. The problem is that the author doesn't stop. It just gets to the point where they start piling up the background, and the author just pulls them out of his pocket whenever it's convenient. The small complaints I'm not going to bother with, but the last large one I'll bring up is the constant state of flux of the cultivator power levels. It starts out where power level A are the common folk, level B are the ones making their way up the ladder, and level D are the guys at the top. Then we get to level D and we find out that no, it's actually that level D are the common folk, level E are the guys making their way up the ladder, and level G are the guys running the show. Then we get to level G..... and you get the picture. It's always mentioned that the level the MC is at is the level of the "cannon fodder." Seriously? Is it that hard to stick with a constant power level system? This is one of those things where I wish more stories in this genre would take after Warlock of the Magus World. That story had 9 levels, and you knew from the very beginning exactly where you were on that scale, and what authority you had at any particular level. Make the story smarter, not just longer. So far the most enjoyable and well-writen novel of IET that I have read to date. The world-building is phenomenal, and while the characters can still have some specific IET kincs that I'm not too fond of, I find the main- and subcharacters to be more believable and with more personality than the characters from his other works such as Coiling Dragon, Stellar Transformations and Desolate Era.